I was gonna swap out my old 07 harness for a newer, lower miles harness. I ended up getting an 09 harness, only to find that the fuel pump plug is not the same. I actually can't find it ? Anyone have any insight before I order another harness? Well after further research I've found the wires for the fuel pump on the 09 harness. For whatever reason there are 2 plugs? Same 4 wires though. Would there be a way to get a new fuel pump plug? Try just splicing the last couple of inches of the old harness to the new one, should do the trick. That's what I was thinking. I got some of those fancy heat shrink connectors. As long as they're all sealed separately should be gold, and tucked up under the tank as well. I had to replace a section on my 07 when it wore through at the bracket near the headstock, and its working fine and that was ages ago. 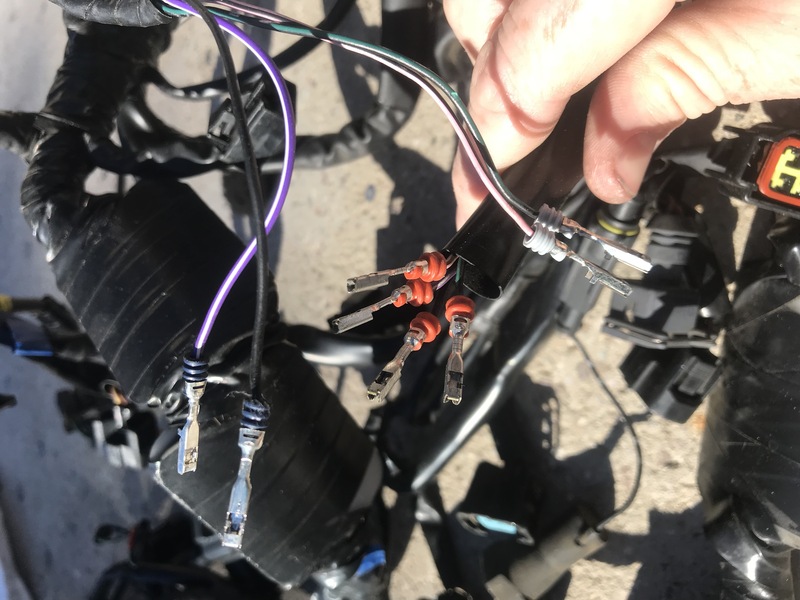 Need some wiring harness location help.......pic request maybe! ?